This easy, spicy BBQ Gochujang Cauliflower Fried Rice is inspired by a Korean bibimbap bowl, but takes just a few minutes to make. 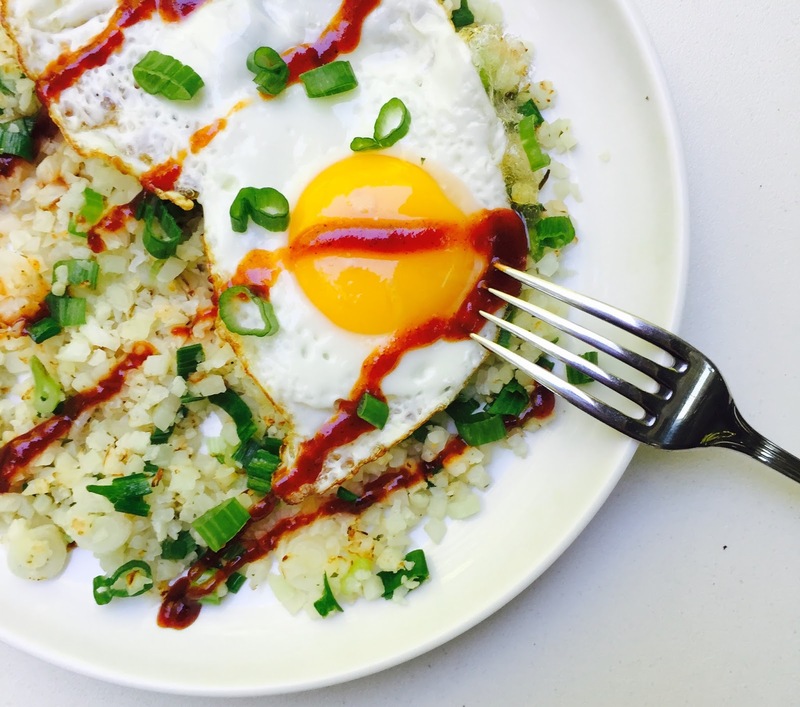 Fried cauliflower rice, scallions, sweet and smoky BBQ Gochujang sauce, and a fried egg work together for this simple, low-carb meal! I just love when I get my monthly Degustabox! 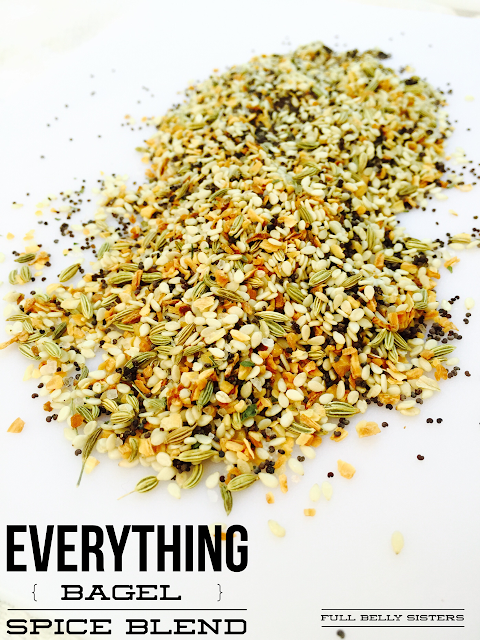 This subscription food box always has fabulous new foods for me to taste. This time around, I received Bibigo's Go-Chu-Jang Barbecue and Hot and Sweet sauces. Both of these sauces are made with gochujang; it's a Korean fermented chili paste that is spicy and oh-so-tasty and I adore it. If you've ever tried bibimbap, you've probably had the sweet-hot-salty gochujang mixed into your hot stone bowl of rice, veggies, and egg. These sauces from Bibigo make it easy to use that amazing flavor in all sorts of dishes. This first thing I did was mix about a tablespoon of the Hot & Sweet Go-Chu-Jang sauce into a 1/2 cup of plain Greek yogurt. Easy peasy, a two-ingredient dip that perfectly paired the spicy, sweet sauce with the cool, tangy yogurt. 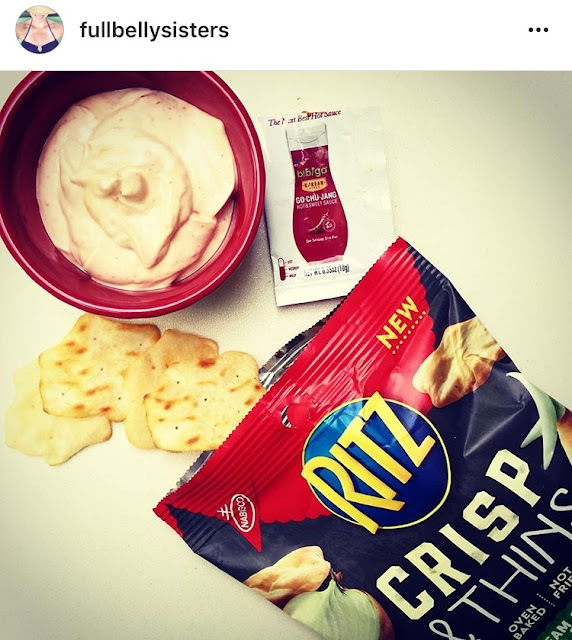 I had it with some Ritz Thin & Crispy crackers (also from this month's Degustabox!). Then I decided to use the sweet, smoky, spicy Go-Chu-Jang Barbecue Sauce as part of a quick, low-carb meal reminiscent of my beloved bibimbap. This is definitely not a legit version, with that steaming hot stone bowl, and loads of veggies and kimchi that you can get in Korean restaurants. This is just an "inspired-by" version—one that takes just a few minutes. A quick cauliflower fried rice, loaded with scallions and topped with a fried egg and a generous drizzle of the sauce. In a non-stick pan, melt 1 to 2 teaspoons of ghee over medium heat. Add the cauliflower rice (I use the frozen version from Trader Joe's—I always keep some in my freezer!) and the whites of the scallion. Saute for three to five minutes, until the cauliflower is heated through and the moisture is absorbed. I like to press the rice down in the pan to make sure some bits get toasted and caramelized. Turn off heat and mix in the scallion greens. Remove the fried rice from the pan onto a plate. Add 1 teaspoon of ghee to the pan and fry your egg, as you like it. (I like mine sunnyside up with a runny yolk). Place the egg on top of the fried rice, then drizzle a generous amount of the BBQ gochujang sauce over everything. A delicious and healthy meal in less than 10 minutes!